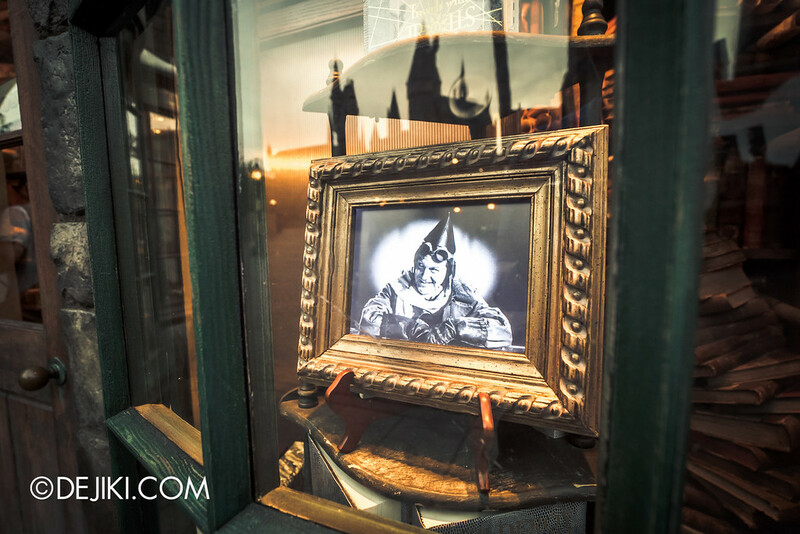 Over at Ollivanders, you can experience the magic of “the wand choosing the wizard” through a short ‘show attraction’. 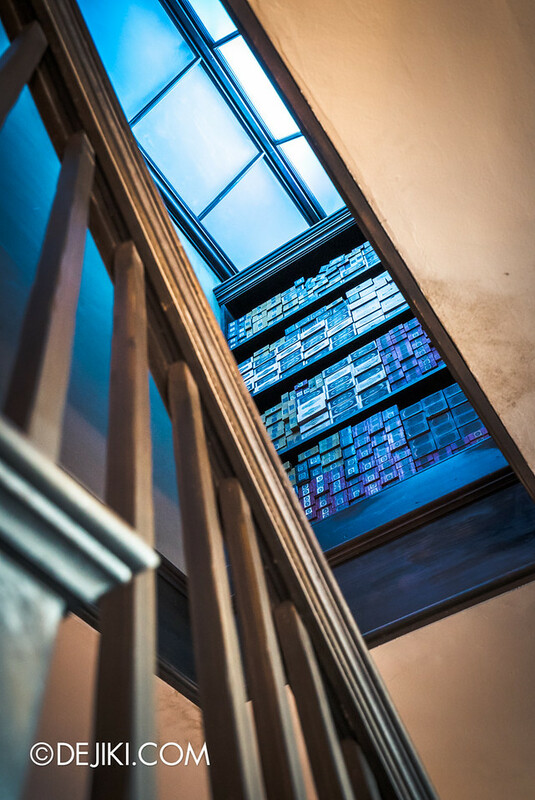 Small groups enter Ollivanders together, and only one lucky guest gets to be chosen. 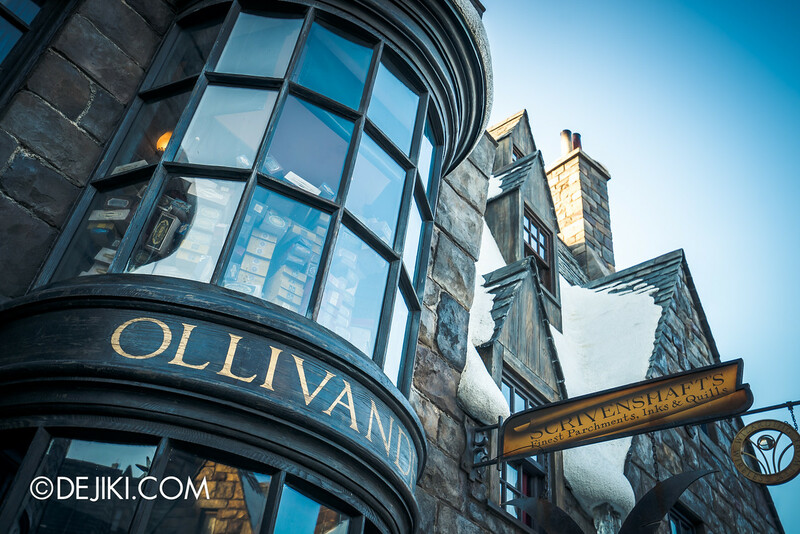 The show is similar to when Harry Potter visits Ollivanders at Diagon Alley. 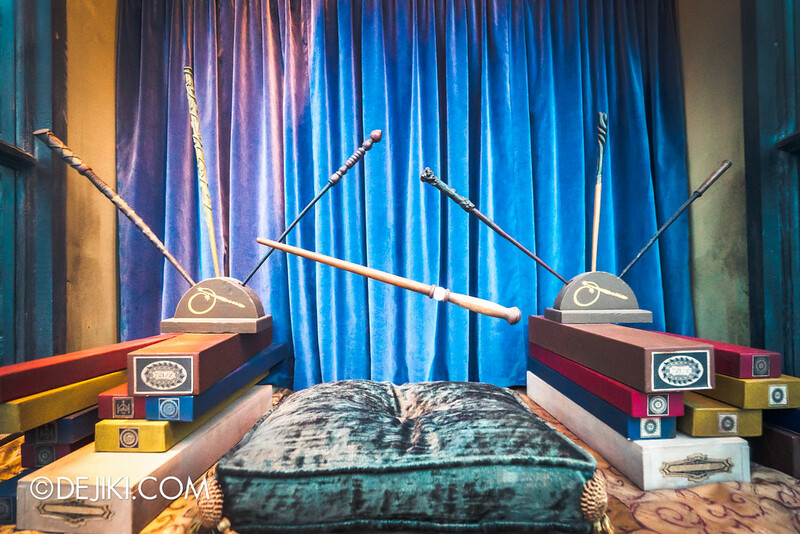 After the Ollivanders experience, everyone will be guided to Wiseacre’s Wizarding Equipment to choose and buy their own wands. 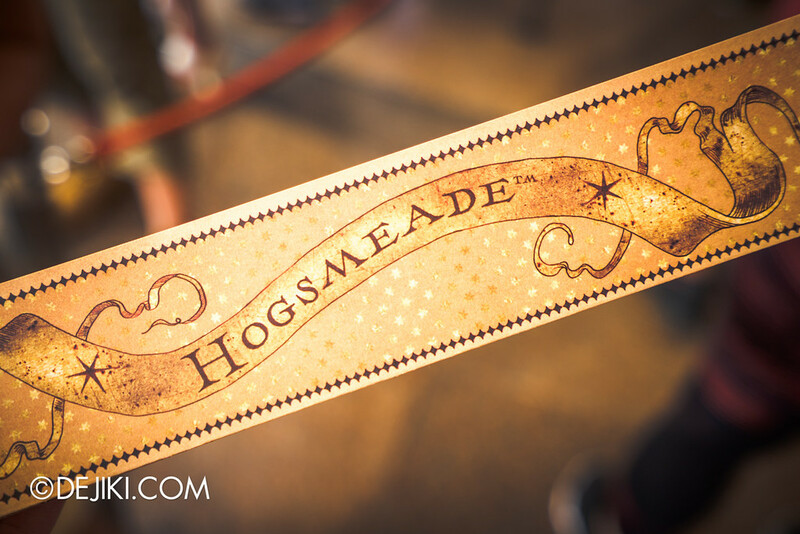 This is one of the ‘hottest’ souvenirs because visitors can actually cast spells in Hogsmeade! 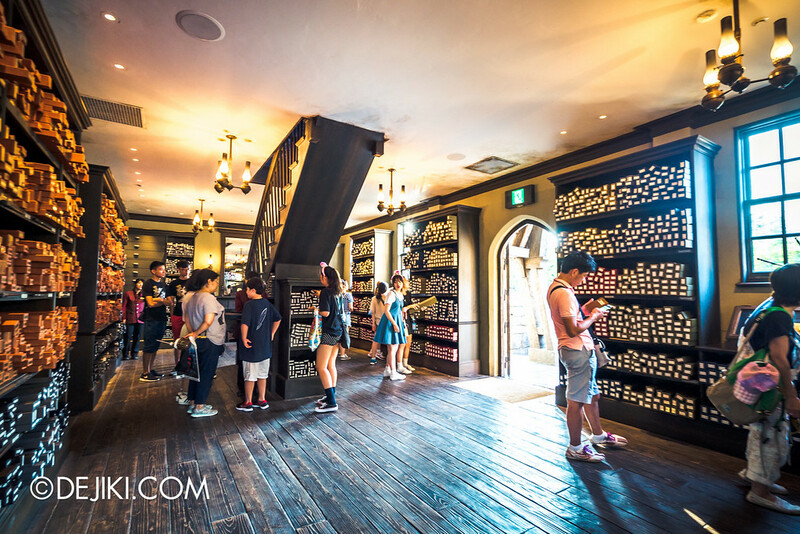 Most generic and character wands are available in both Magical (Interactive) and Non-Magical kinds. 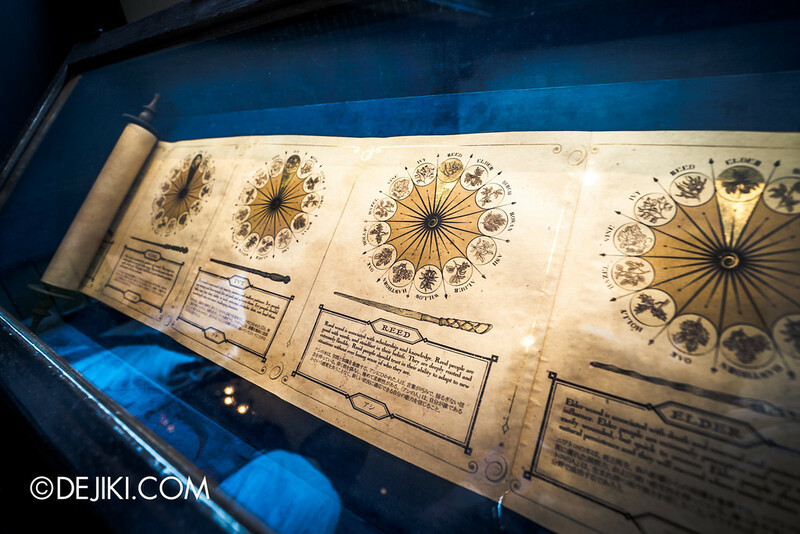 To enjoy Wand Magic, you have to buy the Magical versions. 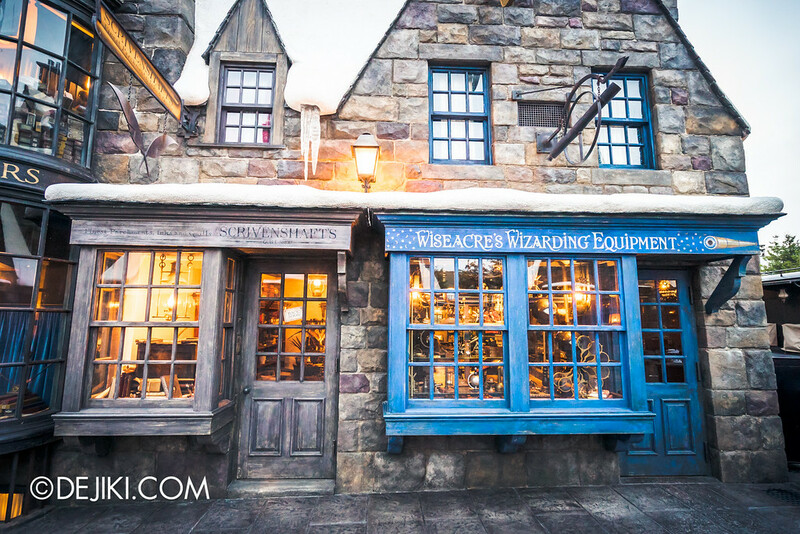 Magical Wands can be used in all Wizarding Worlds, including the theme parks in Hollywood and Florida. 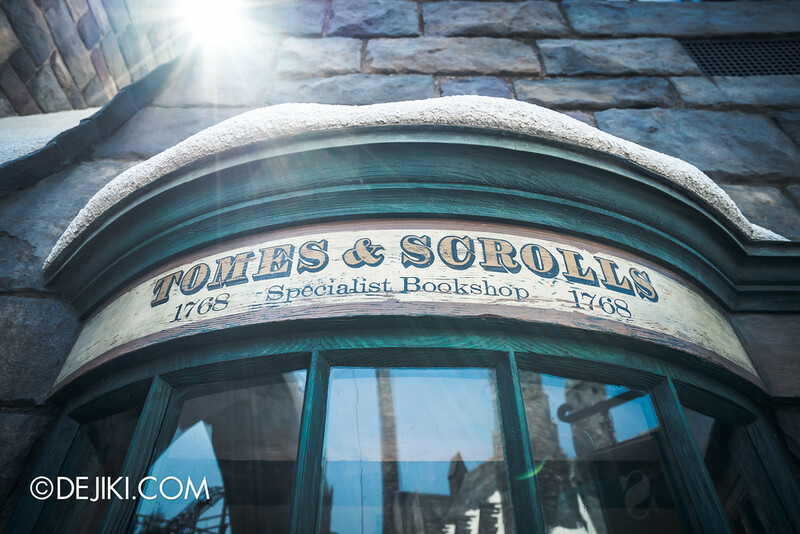 Wiseacre’s is one of more “magical” shops at Hogsmeade, and there’s even a section where you can learn about wand lore based on the Celtic Tree Calendar. 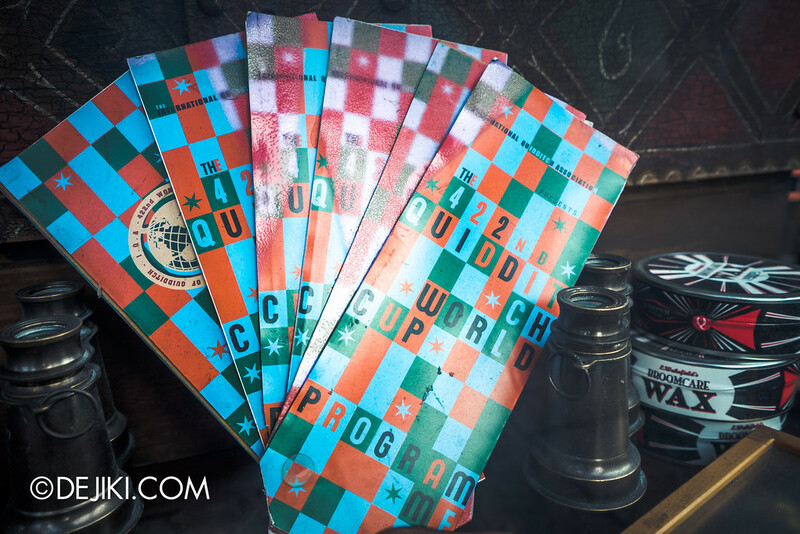 Every Magical Wand comes with a Map of Hogsmeade, showing all the spots where Wand Magic can be practised. 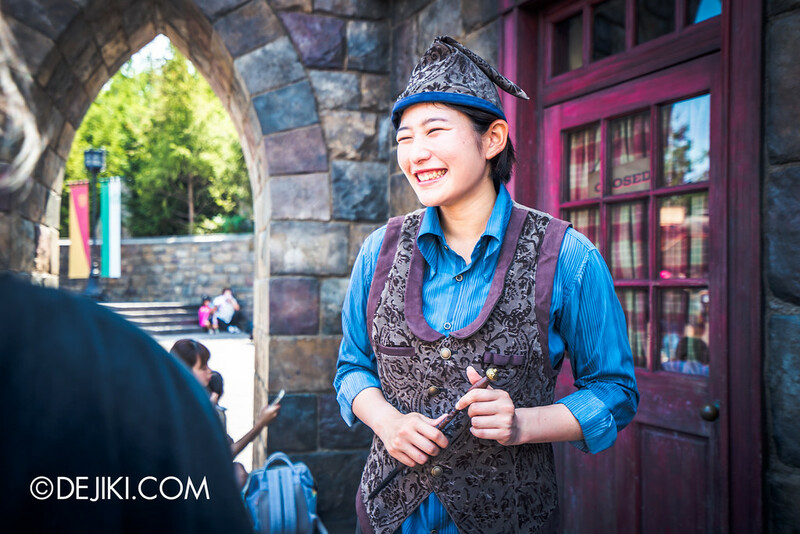 Some helpful villagers and students can be found roaming around Hogsmeade at times, helping visitors with spells at Wand Magic spots. 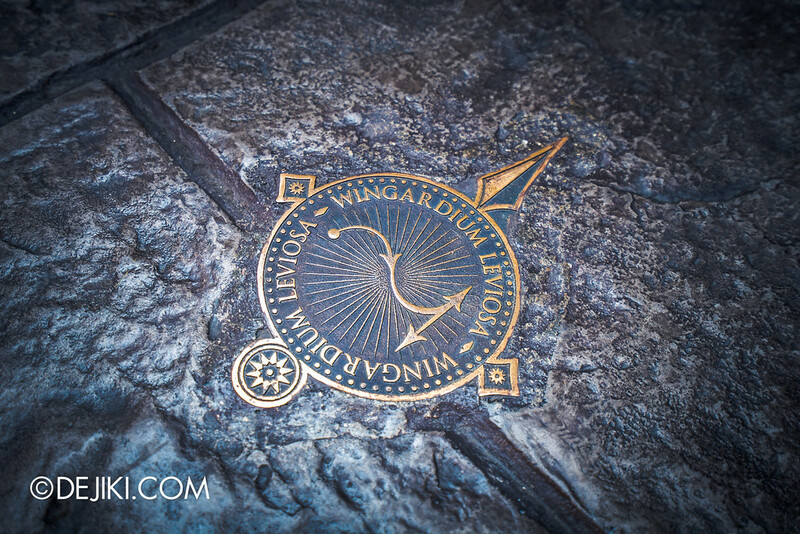 Go to a wand magic spot, stand on the marker, and follow the wand movement diagram to cast the spell. 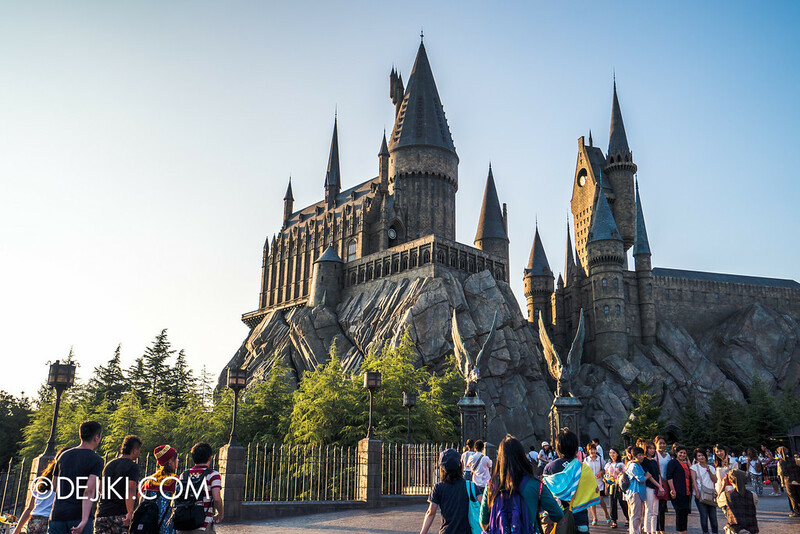 • As of 2017 there are 8 Wand Magic spots in Universal Studios Japan’s Wizarding World. 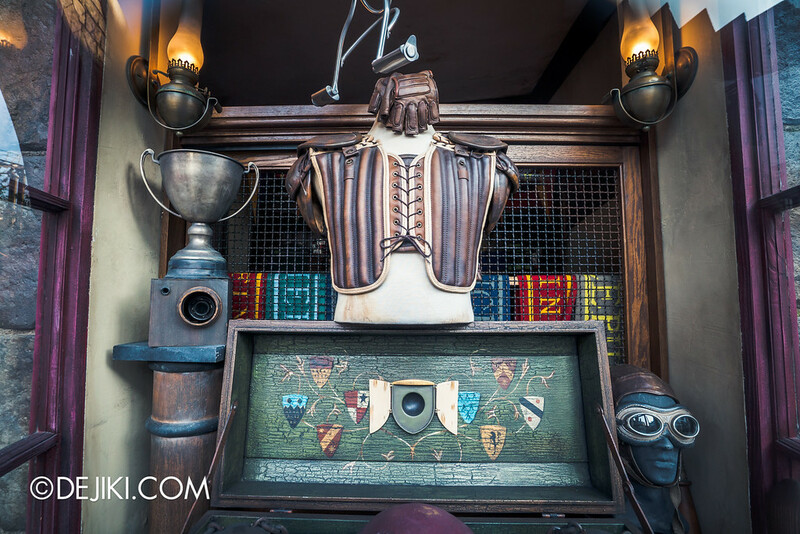 • You can cast spells non-verbally. 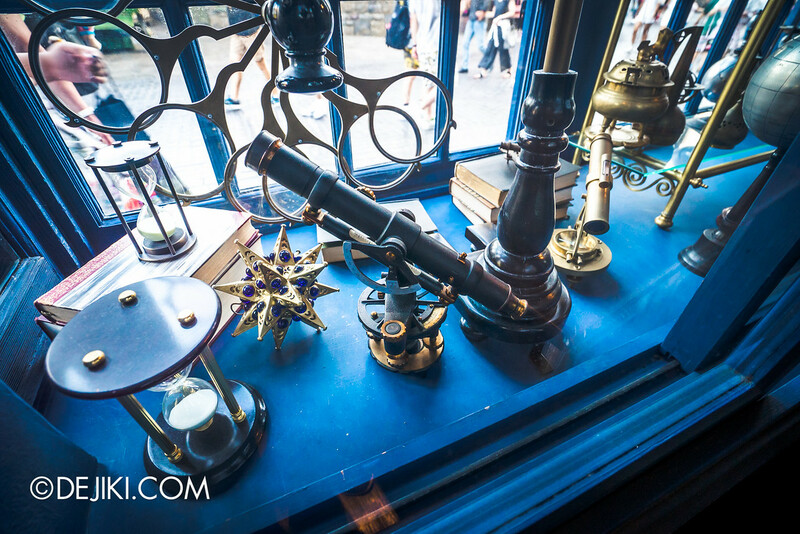 • Keep your wand movement small and steady for better success. 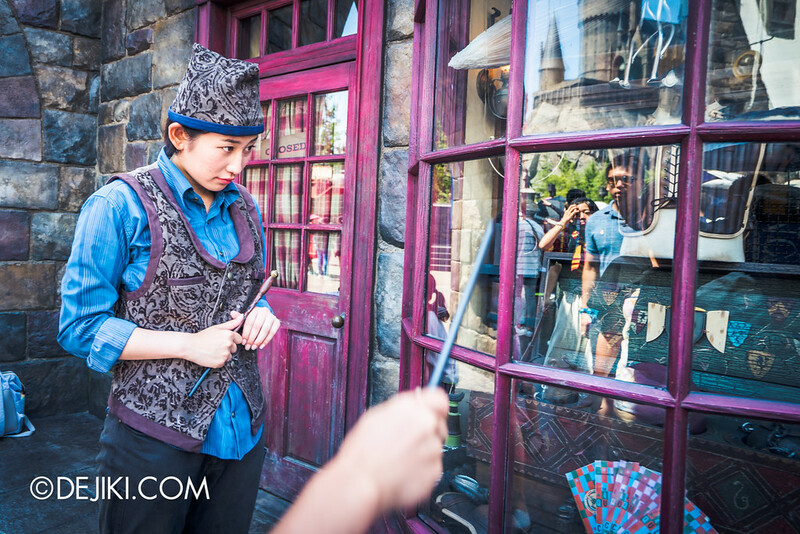 • Only ‘Magical’/Interactive Wands can perform ‘Wand Magic’. 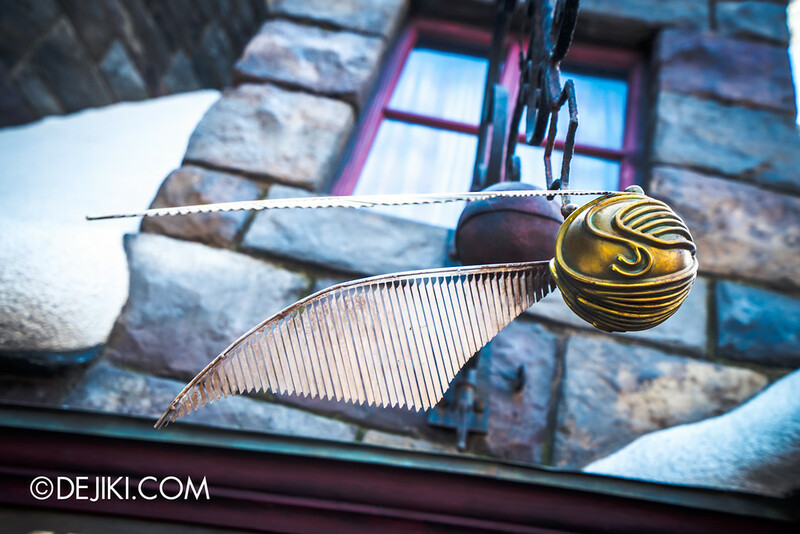 • Magical/Interactive Wands can be used interchangeably in other Wizarding Worlds. 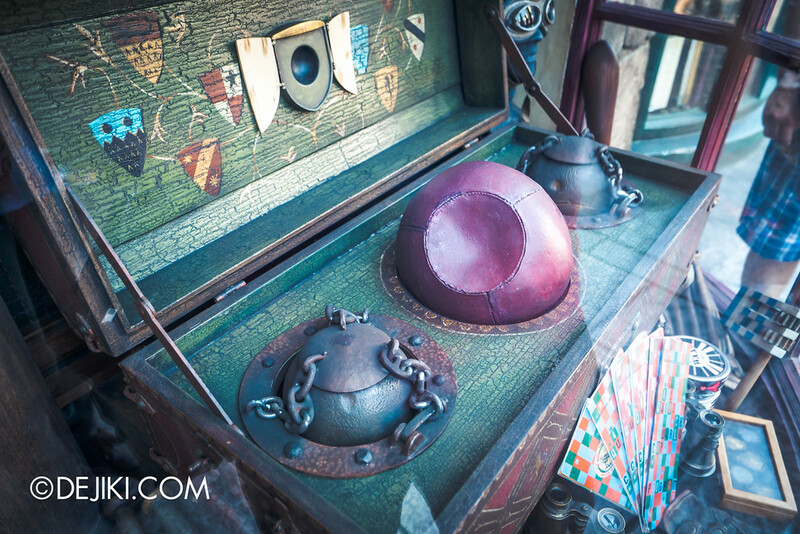 • Be careful when using magic outside of Wizarding World! 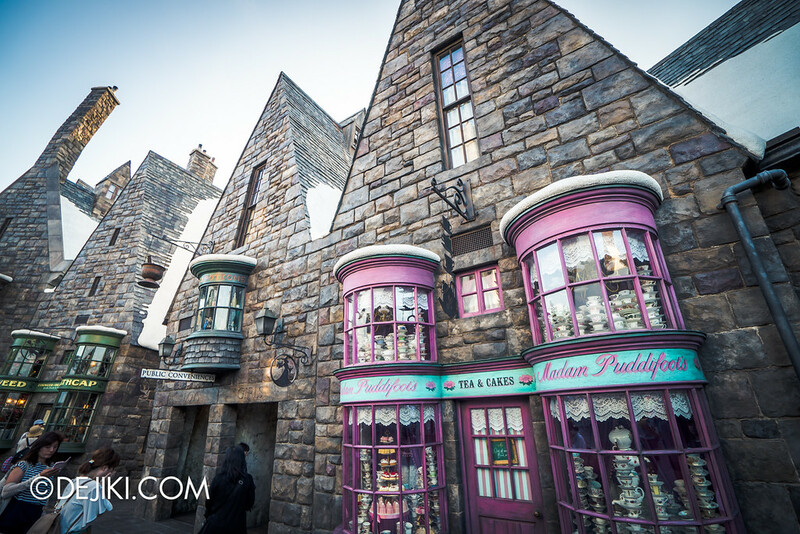 We’re at the last leg of the tour of Hogsmeade Shops! 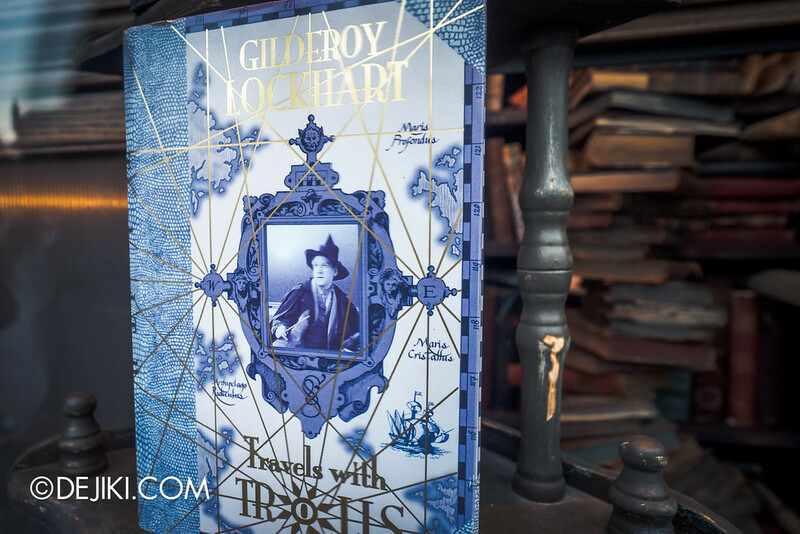 Tombs and Scrolls – Specialist Bookshop, stocking dubious stacks of Gilderoy Lockhart biographies. 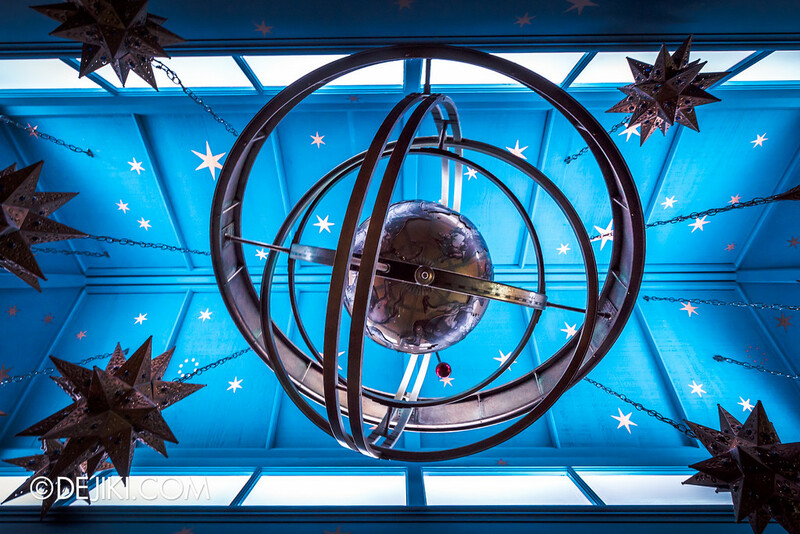 Sprintwitches Sporting Needs – A must-see for all Quidditch fans. 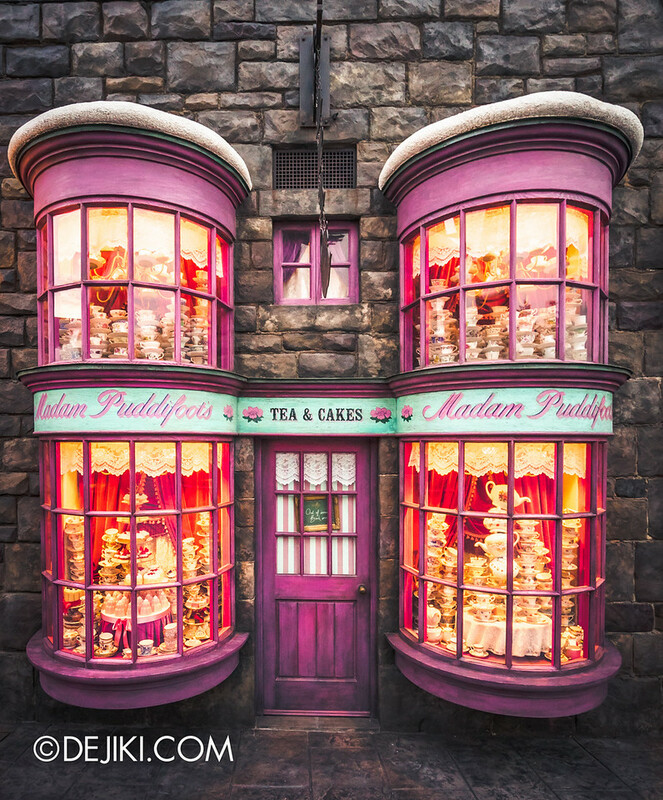 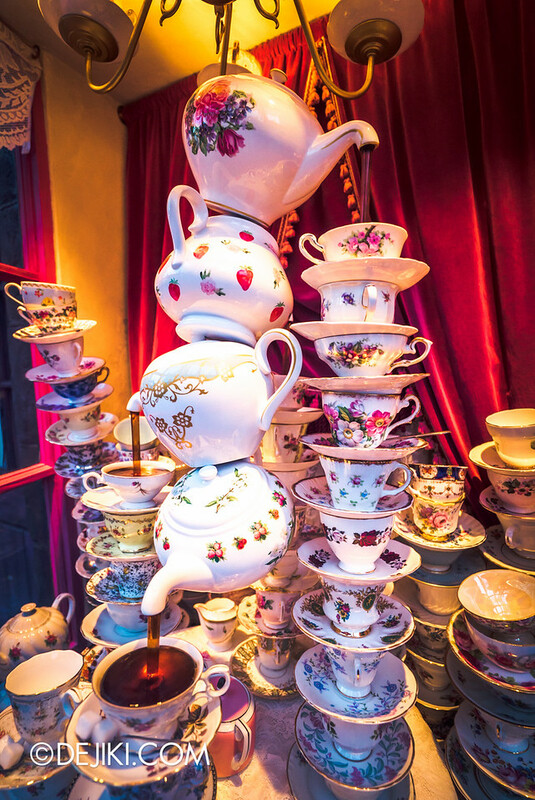 Madame Puddifoot’s Tea Shop – the place to have awkward dates. 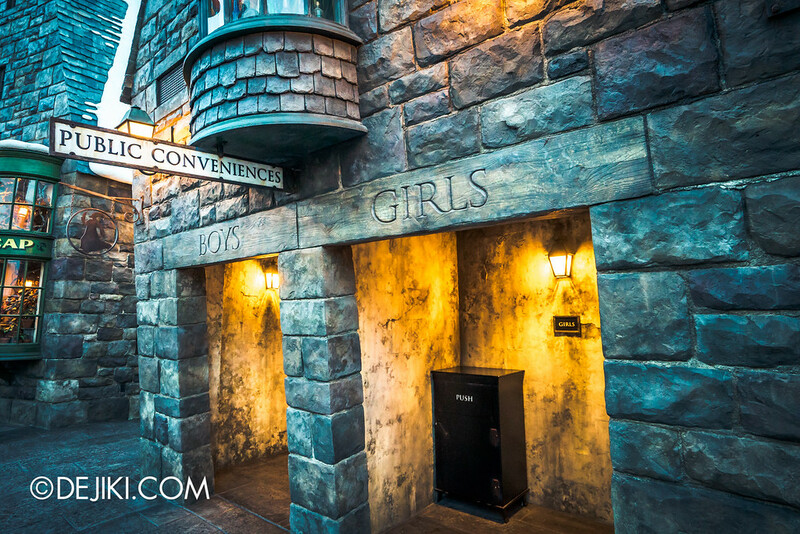 Public Conveniences – Restrooms haunted by a certain ghost! 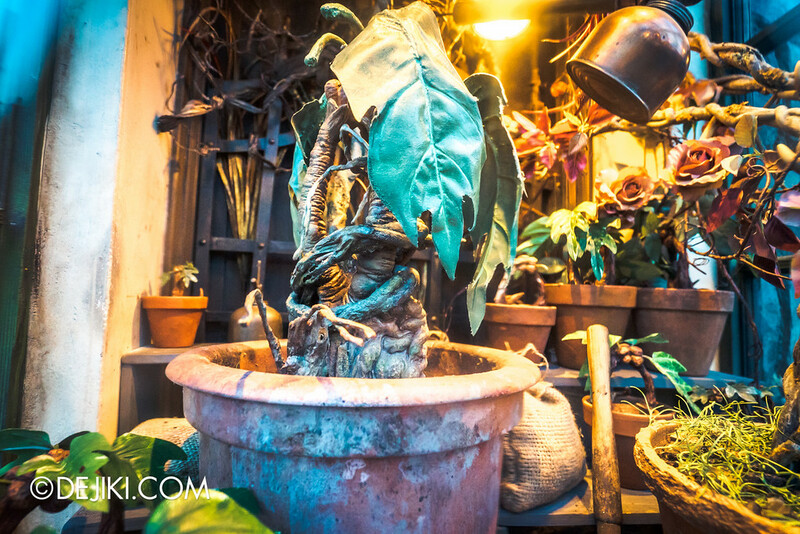 Dogweed and Deathcap – Purveyor of exotic and deadly plants, like Mandrakes. 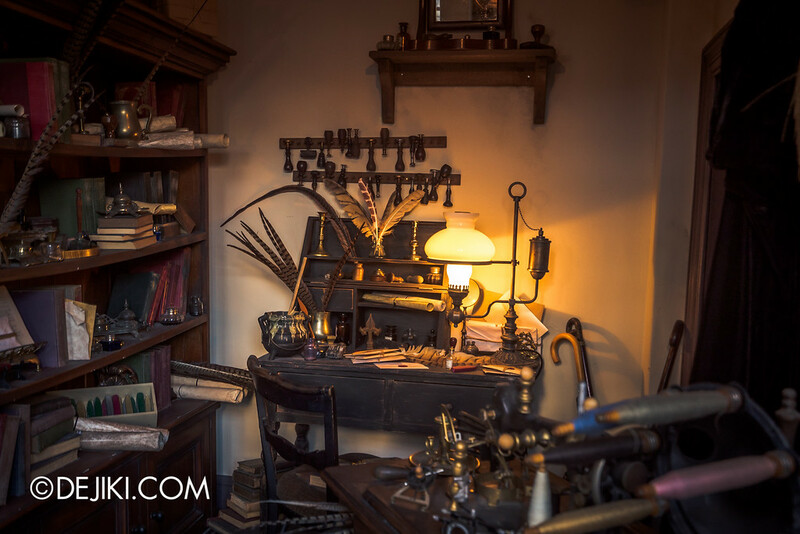 Scrivenshaft’s Quill Shop – Finest Parchments, Inks and Quills. 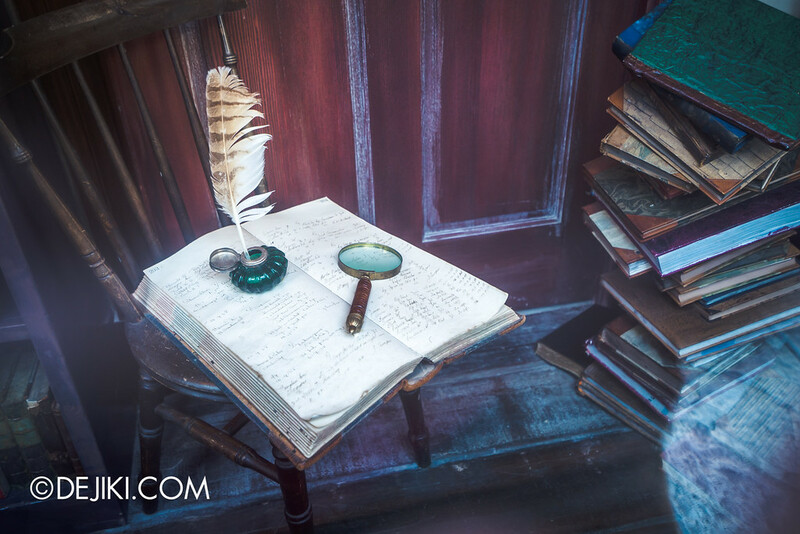 Including Quick-Quotes Quills and hopefully not the Dolores Umbridge’s Inkless Black Quill. 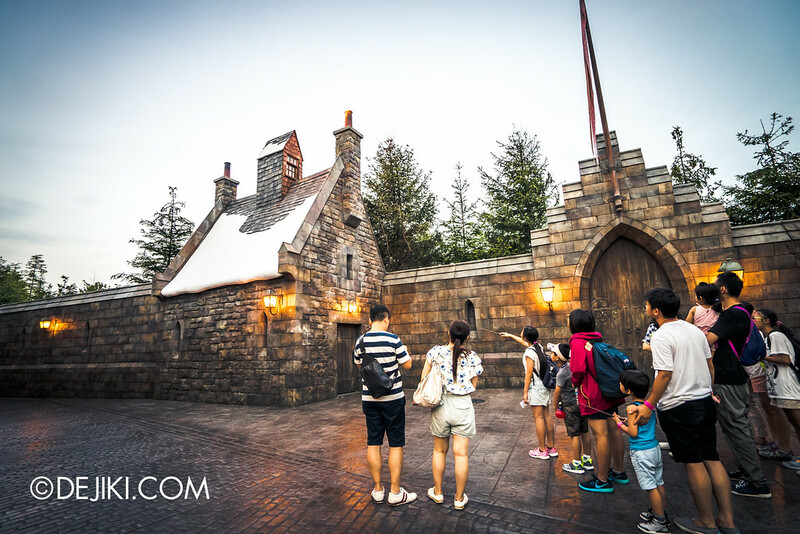 Up next in the Wizarding World Tour: Hogwarts School of Witchcraft and Wizardry.